Rather than avoiding discomfort, we must pay attention to the “small deaths” we experience within life – moments of disconnection, judgment, fear-based decisions, self-imposed suffering – and choose instead to live with an open heart. The mind craves security and safety while the heart seeks connection. 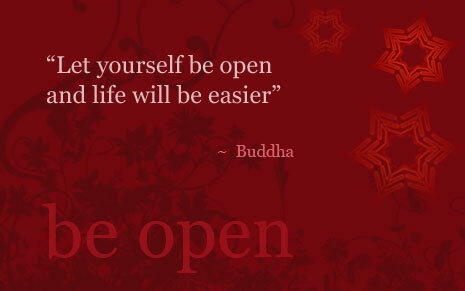 That can only be experienced through openness in the present moment. Observe your body language. Do you ever notice yourself crossing your arms? That is an outer sign that you are attempting to protect your heart chakra (fear of being hurt) or your solar plexus chakra (fear of losing control). Listen to any protective measures that the ego is attempting to instill and instead, open your arms by placing them at your side or even opening them wide. This will allow energy to move through you more freely. Haruki Murakami once said, “Pain in inevitable. Suffering is optional.” Once you move past the mechanisms of the ego, you will be able to approach any situation with greater awareness. Keep in mind that resistance will keep the negativity in place while acceptance and right action will create a breakthrough.